Dying Memories is a psychological thriller with moderate expletives and minor graphic content. Bill Conway is a reporter for The Boston Tribune, tired of desk copy and looking for that one story that will make or break him. On the day Gail Hawes brutally murders a man in broad daylight, claiming he raped and killed her daughter, Jenny, Bill's life is about to be irrevocably changed forever. Upon investigation, Bill soon learns that Gail has never had any children, and the man she killed had never hurt anyone. Thinking this is an open and shut case, Bill comes to find out, via an anonymous email from G, that there are connections out there between Gail and an MIT professor who also murdered an innocent while thinking the person was guilty of a horrible infraction. On a trail of clues being fed to him from an unknown source, Bill is delving deeper and deeper into the mysteries surrounding these two, seemingly unrelated cases. After Bill finds a tie in with a immunology/nano-technology company who it has been whispered is working in brain wash experiments, Bill finds his life is on the line, when he finds himself involved with his own murder investigation. With his mind in turmoil and not knowing who to trust and where to turn, Bill feels like time is running out. Will he find the connections in time to save his life or will ViGen, whose secrets are deep and the people involved come from all levels of the government, shut him down for good? Bill must act on his own to save himself and the woman he loves, but the pink faced man with the beady eyeballs won't let off his trail and the corner of the cage is getting closer. Will he find the truth before its too late?? Or will the psychological mind tricks he's following convince him he is just hallucinating?? I enjoyed reading this book, the mystery involved keeps you guessing as well as, keep you wondering what is about to happen next. I liked the premise of the story and found myself starting to wonder if maybe Bill had been hallucinating throughout the book and we, the reader, were just being taken along for the ride. I liked all the hidden innuendos dispersed throughout the story, you never knew where anyone was coming from. I liked the cop, he asked a few questions that gave me a couple of good chuckles and his sarcastic off-beat attitude worked nicely with Bill. I wasn't impressed with the love story, I don't know why authors feel the need to add a love interest in their stories, other than to have someone for the hero to save in the end. I didn't really enjoy their back story, they just met, hopping into bed and then they begin to question the trust of the other, didn't make for good copy, at least for this reader~!! I don't understand why people don't just say what is on their minds, you cannot build a relationship on lies, and for them to even try was rather disappointing. To me, theirs was more of a sexual attraction then being the "real deal" kind of love they were hoping for. 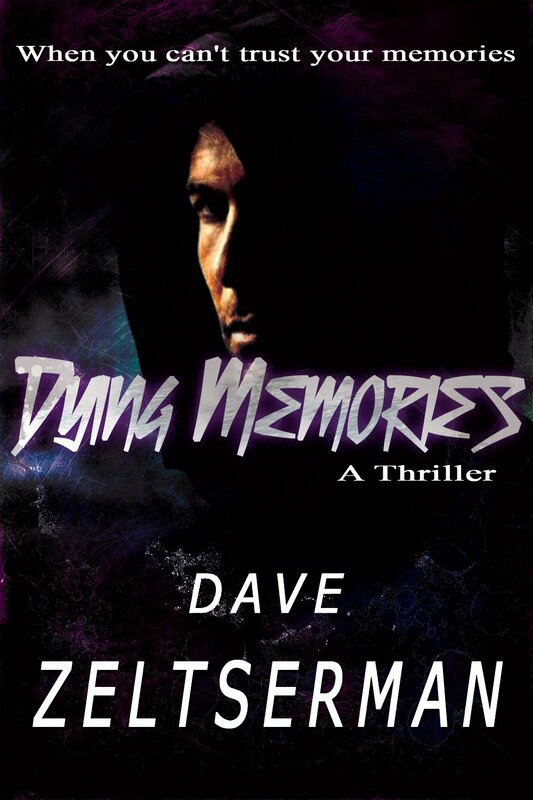 The twists and turns in the plot, however, are enough to continue to read and enjoy the book, and Dave Zeltserman really knows how to weave a tale, leaving you guessing about everything he has written, right to the very end! When you can't trust your memories. A woman shoots a man to death on a crowded street in Boston, claiming that he raped and murdered her eleven-year old daughter. Except he didn't, because this woman never had a daughter. Another man stabs an MIT professor to death in front of a crowd in Harvard Square, saying that he witnessed the professor running down his wife in the street. Except the MIT professor was three thousand miles away when the man's wife was killed.